In an age when people are taking strides toward living their best, healthiest life, it’s no surprise that natural beauty products are a growing trend. Local entrepreneurs have taken notice, and shops are popping up from Williamsville to East Aurora. Tom Akers was one of the first when he opened Renew Bath and Body on Elmwood Avenue in 2014. He believes natural beauty products have evolved and are “just as good, if not better” than synthetic products. 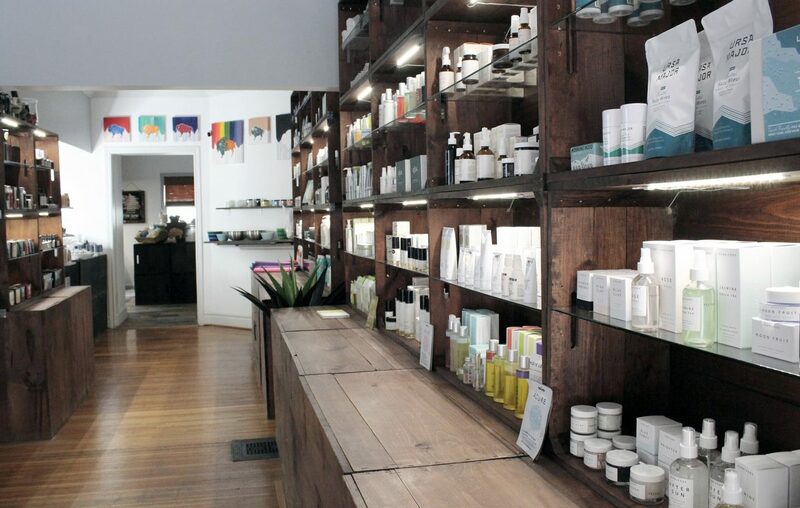 Chemist Kasia Cummings, owner of Buffalo Gal Organics, agrees that awareness is half the battle. She created Buffalo Gal several years ago and opened a storefront this year. Cummings recommends integrating natural products one at a time instead of a complete overhaul, especially because natural beauty products can be more expensive. But that’s also changing, said Cummings. Cummings added that natural products are still less expensive than medical treatment for a health issue down the road. Zandra Cunningham, the local founder of Zandra Beauty, agrees. Renew carries 42 skincare, makeup and bath and body product lines. Owner Tom Akers says he plans to sell natural cleaning supplies in the near future, as well. Buffalo Gal offers head-to-toe products, including skincare, bath and body, and makeup. Owner Kasia Cummings not only creates and manufactures the products herself, she also offers full-service body treatments on-site. Ginny and the Angels carries just one line, Dr. Hauschka Skincare. Located in a studio above Café Aroma in Elmwood Village, facial and body treatments are available by appointment only, but walk-ins are welcome for browsing and purchasing products. Beauty Organix carries skincare, body care and makeup from a variety of product lines. Beauty Organix’s mission involves selling only products that are ECOCERT, USDA or certified organic, as well vegan, vegetarian, gluten-free and cruelty-free. In addition to the website, Zandra products are sold at numerous local stores including Modern Nostalgia, The Perfect Gift and Nest in the Village. Products include lotions, deodorant, body scrubs, lip scrubs and lip balm. Everything is multi-use — for example, a soap bar can also be used as shampoo. Locally based Bath & Bliss is owned by Mark and Diane Franci, who have been in business for more than 15 years. Products include body lotions, sugar scrubs and soaps with an olive oil base. Bath & Bliss products are also multi-use. Find them online or at Elysian Salon in Snyder.